This Two for Tuesday we will look at two brands who are already gearing up for the Cinco De Mayo festivities and looking to cash in on the popular holiday. 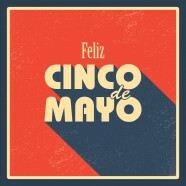 Cheers for Cinco de Mayo, the day Americans celebrate Mexico’s victory over France. Even though La Batalla de Puebla is only celebrated regionally in Mexico, it has become a huge party in the USA. So why do Americans celebrate a holiday that most of Mexico ignores? The answer – drinking. Unfortunately, Cinco de Mayo once again falls on an awful day for celebrating this honored holiday. So if a Tuesday fiesta isn’t your style, The Most Interesting Man in the World proposes celebrating Dos de Mayo instead. The date may not coincide with the actual Battle of Puebla, but it does fall on a Saturday, “a reason to celebrate in itself,” according to The Most Interesting Man in the World himself. In the ad, The Most Interesting Man in the World makes the proposal of celebrating early, pointing out that the day is perfect for an epic celebration since the Kentucky Derby and a big Vegas fight are already taking place. In addition to the ad, the brand is hosting a contest on Twitter, running until May 5, inviting fans to share their #DosDeMayo plans for a chance to win an all-expense paid trip for two to an official Dos Equis party in Los Angeles on August 29 and the answers are pouring in. And what goes better with beer than fast-food tacos? Taco Bell is also giving us all something to look forward to: the chain announced on Twitter that it will be introducing a new hot sauce on Cinco de Mayo called Diablo. Fans have been pleading for a spicier option then the current Verde, Mild, Hot and Fire sauces and are finally getting it. The new sauce, which will only be available for a limited time, is made with a variety of peppers, including aji panca, chipotle and chili. The food chain who has 1.55 million taco loving followers immediately began receiving excited comments and tons of retweets following the announcement. If the possibility of Taco Bell becoming even more delicious isn’t reason enough to celebrate on Cinco de Mayo I don’t know what is.